Click to save links here. My book details: setting up your lab, buying bench test instruments, getting the most out of op amps, hot tips, and some excellent trouble shooting info. Buy it on Amazon. I wish I had this book when I was getting started in synth-diy. When the last component is soldered and the last bug is found and fixed, it's time to realize the purpose of all your hard work and actually produce "electronic sound" with your gear. I'm not going to call it "music" because music is a very subjective term. Birds chirping might be music to someone. A jet going over in the distance might evoke a feeling for someone else. These are some of my "sounds". Some atonal, some musical others more environmental in nature. If you click an image you can download individual tracks for 99¢. Great for yoga and meditation. Namaste. The MFOS Alien Screamer is a simple 9V powered noise box that will keep you and anyone in earshot entertained for days. This project is along the lines of the WSG in complexity and capability. The new MFOS Voltage Controlled Echo Module is here! Learn to use the PT2399 Echo Processor Chip, one of the coolest chips going. When MFOS projects call for CMOS ICs Always buy the buffered type (CD4013BCN for example). The "B" in the part number stands for buffered output. When you see a plain number like CD4013, CD4081, CD4042 and/or other CMOS chips listed in a project part list always buy "B" type chips for example: CD4013BCN, CD4081BCN, CD4042BCN, etc. Remember to observe static precautions when handling any CMOS chip. Good building! This 9V battery powered 3 input mixer and 1W amplifier will let you take your battery powered noise boxes anywhere you want without worrying about whether you'll have power or not. Whether you're going camping, mountain climbing, or on a Peruvian meditation retreat now you can hear your battery powered synth wherever you are. Just remember to bring along a few 9V batteries. All scientists, physicists and engineers know that after the degree from a prestegious university a pocket protector is standard equipment. Be ready to record your next idea by having a - protected - pocket full of pens and pencils. Thanks to everyone that attended the TL07X op amp webcast. Maker Media was kind enough to provide me with an MP4 of the webcast which I have posted on YouTube. You can also download the presentation PDF below. If your school or university has a place where they allow you to put commercial posters I would appreciate it if you printed this one out and hung it up. MFOS' mission is to bring synth diy to the masses. Thanks! 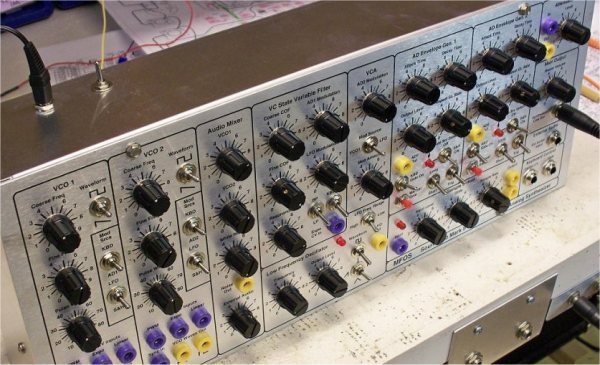 Build an Oct-Attenuator for your MFOS modular. This module adds 8 generic attenuators to your modular for adjusting voltage outputs and modulation levels. A super simple project. These oldish MFOS t-shirts are really comfortable. Our logo on a sports gray GILDAN Softstyle 90% cotton and 10% polyester t-shirt. Let the world know you're a synth-diy jedi master. The MFOS Wave Freaker is making itself at home in a wide variety of commercial and diy synths. Sounds from subtle to "IN YO FACE" phat. Thanks to all of the customers that are helping to make this module a success. These universal brackets are very useful when mounting a PC board to your front panel. There are several articles and applications on the MFOS site useful to electronics educators. Here is a list of links. I made this tool to help me when I need the results of an op amp setup quickly. You may find it useful. It is idealized and simple but gives a decent approximation. Check it out! Convert your Sound Lab (Mini-Synth, Mark II, and ULTIMATE) synthesizer ramp or sawtooth waves to triangle waves. Great way to prepare ramp or sawtooth waves to use the Wave Freaker. Check it out! Some simple mods for the WSG that will keep you making weird sounds into the next century. Ray was nine and I was seven when the Wilson's moved in a quarter mile up the road. Ray became my buddy.. He was a noisy kid. Constantly drumming his fingers, tapping his pencil, making smacking , whistling annoying noises with his lips, stomping his feet, like a one man band. His mom would holler,"Raymond go outside and play with yourself!" So we did . Ray made gadgets and sound makers of all kinds. We trudged around the Pennsylvania hills with our Pig Nose amp and found a cool echo chamber in a huge drainage pipe that ran under Interstate 79. Ray fell in love with that sound and eventually duplicated it in the Waveform processing Mini-Synth. I thought Ray was the most talented kid in the world and I recognized his genius when no one else could see it. But it was also obvious that he needed a muse and I was delighted to volunteer for the position. He was constantly experimenting with electronic sounds, and could actually visualize their shapes! When he heard any musical sound he visualized the shape that it was making and say that is a sine wave that is a saw tooth wave, a rectangle /pulse, a square or a ramp. Eventually we had a row of oscilloscopes lined up on the bench like a marching band, all called into 24 hour service. He never tired of hearing the random test sequences that he let run night and day. It nearly drove me mad at the time, but now I miss the pops and squeals emanating from his studio which has transformed into a magnificent shrine to his genius. Ray had a vision of a super synth that he christened the Monster Synth. It would include all of his modules. He said the Monster was the most powerful synth in the world and could recreate any sound. Ray loved MFOS. It was his baby and once again he was a one man show. From design to shipping, he accomplished it all. He joked that he was head janitor, mail boy, web designer and CEO! I was Chief Marketing Director, provider of snacks and a sounding board for new ideas. Ray had a childlike personality. He loved simple pleasures and was the most unpretentious man I ever knew. His uniform was an MFOS T shirt, his so called rich man slippers, and jean shorts many sizes too big held up with 3 inch wide suspenders. He rambled on long hikes with his voice recorder and sketch pad in hand capturing ideas and thinking up new MFOS products like the Noise Toaster, the Alien Screamer and the Echo Rocket. The Noise Toaster was born through that process. Ray wanted to design something that a novice Synth DIYer could successfully build as a first project, an introduction to Synth DIY. Ray was a genius and he intuitively knew certain things that would go way over most heads. When the project was first unveiled on the MFOS site Ray thought that it might be suitable for a junior high school project. It was soon apparent that was not the case as questions from frustrated builders came flooding in. What Ray thought were simple questions with obvious answers, were actually very complex. He was a bit overwhelmed. I said, "How about teaching me to build it?" Could you break it down to the most primary elements? He said ,"Well you don't even know how a resistor or capacitor works. You don't even know how to solder!" 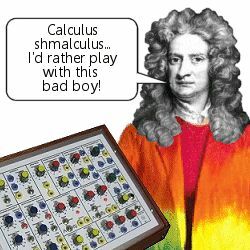 You can't read an oscilloscope." I said,"Ok. let's start there." He made a FAQ page with the most commonly asked questions. Together we wrote responses to fellow synth enthusiasts. The criteria was, could Debra the Maiden of MFOS understand it? I became very familiar with the parts and could name them all. I never mastered soldering to Ray's perfectionist standard (he was a NASA certified solderer) but I had the idea. Ray's book "Make:Analog Synthesizers A modern approach to old-school sound synthesis" was born through his experience with answering Noise Toaster project questions. It is so clearly written that anyone including me could have a successful synth build. 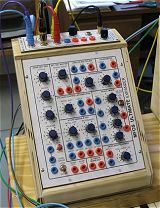 Ray hoped that a new generation of synth DIY builders would be inspired by the simplicity and down right fun contained in a little wooden box. When Ray was unable to sit and play a keyboard, I gathered the modules around him and once again he was turning knobs, adjusting frequencies, making smacking ,tapping , popping, whistling and other very annoying noises like a one man band. He always closed his communications to fellow Synth enthusiasts with the tag line "Keep imagining , Keep inventing and Stay ingenius "
He lived that mantra. He was an imaginative, inventive genius. 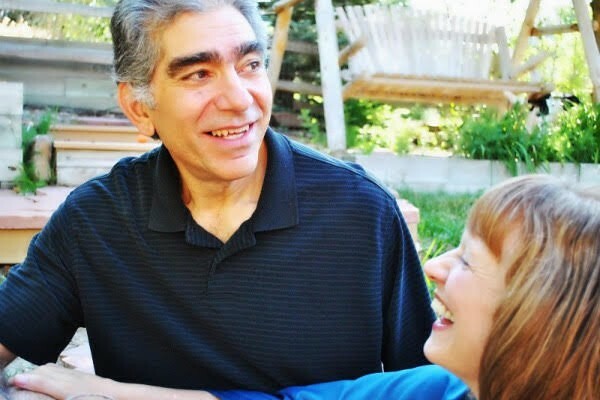 It was my joy to share a small part in his journey towards making music in outer space. If you're into electronics, can solder and trouble-shoot and you love analog synthesizers we have tons of cool projects for you. Spend some time browsing and you'll find lots of inspiration. The Sound Lab Mark II will surprise you with its array of sound shaping modules. Check out the sound samples below which were made with the Sound Lab Mark II. SONAR X1's effects used for reverb, never for pitch correction. The VCOs and VCF in the Mark II track very well after thorough calibration. Check out these YouTubes! MFOS Stocks the harder to find components for this project which you can order at the time you order your PC board and professionally machined front panel. Check out music by musician Quincas Moreira from Mexico City. These amazing songs were done entirely using his hand-made Sound Lab Mark II. Very cool & creative works of art. For these samples I used SONAR Producer Edition for recording, mix down, and addition of reverb. All sounds are directly from the Sound Lab Mark II driven via a MIDI to CV convertor or MFOS Single Buss Keyboard Controller (the last was recorded real time). Laurentide SynthWorks published an excellent example of what can be done with the Sound Lab Mark II. It explores a lot of the Mark II's sound nuances. 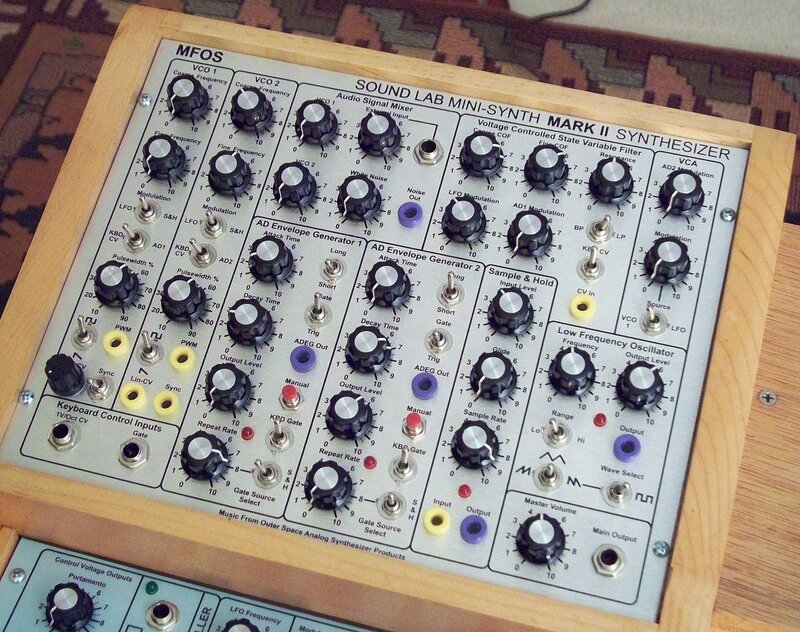 In a blind test it would be interesting to learn which analog synth people thought they were listening too if they didn't know this was an MFOS Sound Lab Mark II. Effects are added but the synth comes through loud and clear. The MFOS NOISE TOASTER is way more fun than you thought was possible with a 9V battery! It's an awesome little 9V powered noise box that's like carrying around a miniature synth. This project is a bit more complex than the WSG but has far more sound shaping and producing capability. This is going to be one of your favorite portable toys (amp and speaker built in). PCBs and PLATEs IN STOCK! This project helps creative electronics hobbyists who have successfully completed the WSG learn more about synth-diy. You make "patches" with the Sound Effects project by patching the various "modules" together, and adjusting knobs and switches. CLICK HERE TO GO TO THE PROJECT! A *.sfz compatible soft-synth and samples of sounds made with the MFOS Synth-DIY Experimenter PCB were used to create this cool multi-track version of Tchaikovsky's "Dance of the Sugarplum Fairy". The Synth-DIY Experimenter PCB contains some of the first synth circuits I started experimenting with when I first got into synth-diy. You don't have to build all of the modules. You can just build what you want to make a specific sound. You want wind... just build the White Noise Generator and one VCF. You want better wind build the White Noise Generator both VCFs and the output mixer. 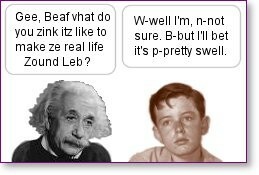 How about birds or bell sounds... just build the Sound Effect Oscillators an AR Envelope Generator and an LFO. You can go as far as you like with this project. This project will NOT result in a 1V/octave Moog like instrument but it will provide you with a lot of sound making fun. In any case it will be a fun learning experience and the finished project will keep you and anyone else within earshot very entertained. The Sound Lab ULTIMATE. 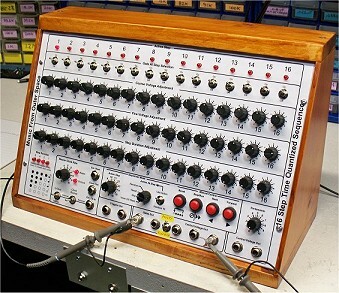 Our most advanced synthesizer project. The Sound Lab ULTIMATE packs: Three Musically Accurate VCOs, a White Noise Generator, an Active Mixer, a Voltage Controlled LP Filter, a Voltage Controlled Amplifier, an Attack Release Envelope Generator, two Low Frequency Oscillators, a Repeat Gate Generator, Sample & Hold, Attenuator Bank and Patch Panel into one totally cool synth-DIY project. The following songs played by my amazing daughter Arielle Wilson on the ULTIMATE. bchris1776 published an excellent example of what can be done with the Sound Lab ULTIMATE and EXPANDER. Just a totally cool sound exploration. Effects are added but the synth comes through loud and clear. A driving sequence is accompanied by Pink Floyd sounding runs. A totally cool watch. The MFOS delayed modulation module includes an Attack Release envelope generator, Low Frequency Oscillator with square and sine waveforms, and a Voltage Controlled Amplifier. These separate elements are connected in the classic delayed modulation patch such that the LFO is fed to the input of the VCA and the AR generator is connected to the VCA's control input. When you apply a gate to the circuit the AR generator is gated on and the VCA responds to the applied envelope and the LFO comes through the VCA. You use the output of the module to modulate other voltage controlled modules. Since there is a complete AR generator built into the module you have some really excellent flexibility. The venerable Sound Lab Mini-Synth. Old school analog and still going strong. The Sound Lab Mini-Synth is a great project. It is a complete mini analog synth on one PC board. It has two VCOs, one LFO, one Mixer, one State Variable Low-Pass/Band-Pass Filter, one AR Envelope Generator with repeat, and one VCA. It runs off of two nine volt batteries for a long time due to its low current design. Check out the MINI-SYNTH! Sound Lab Mini-Synth Sample & Hold! Sound Lab Mini-Synth Drum Trigger! Sound Lab Mini-Synth Guitar Trigger! Sound Lab Mini-Synth Parts Kits! 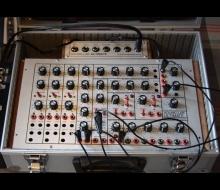 Listen to a multi-track Sound Lab demo! You've put blood, sweat and tears into building your very own analog synthesizer. Show the world what it can do. Contribute a composition to "The Art of Electronic Sound" project so other creative synth-diyers can be inspired. Whether you create: traditional, twelve tone, noise, soundscapes, dreamscapes, space music or something further out, as long as it's electronic and you built some of the gear, we want to hear it. The duration of your piece can be short or long and the content simple or incredibly textured. Whether you're a newbie or someone who's been building for years submit a composition. Your composition might be the one heard by a famous filmmaker looking for an obscure electronic sound track. Quantized duration adjustment literally adds a new dimension to your MFOS 16 Step Sequencer. Check out our new project. It gives the MFOS 16 Step Sequencer the ability to have settable duration per step in 16 quantized increments as well as multiple gate modes. It is definitely an advanced and challenging project but I tried to document it thoroughly. Thank you for your thoughtful comments on this project. I think you'll really like the functionality provided by this circuit. Click here to go to the project. Reading really is fundamental. Have you read any good books lately? The MFOS Mini-Controller. This is too cool not to have so what are you waiting for? The MFOS Mini-Controller has a twenty nine note stylus keyboard (C - C - C to E) built right into the PCB. It can be used to play your Sound Lab Mini-Synth or 1V/Oct modular. The PCB supports four CV outputs (2 with portamento 2 without portamento). There is one trigger output and one gate output. This and a Sound Lab Mini-Synth would make a great combination for your first forray into synth-diy. Every MFOS project has a parts list (also called a BOM) that lists all of the components needed for the project. Experienced project builders know what types of components to buy when it comes to working voltage, power rating, lead spacing, etc. For those newer to synth-diy, here are some clarifications and pointers. I recommend 1/4W 5% carbon resistors for general project use. You can always substitute a resistor with tighter tolerance for one with less precision. For example: 0.1% or 1.0% metal film resistors can be used anywhere a 5% carbon film resistor can be used. Projects will call out when more precision is required specifying 1/4W 1% metal film resistors. Occasionally a project will recommend sorting 1/4W 1% metal film resistors to obtain greater accuracy. MFOS also sells 1/4W 0.1% tolerance 100K and 200K metal film resistors for use in MFOS circuits that use A/D and D/A convertors (see the catalog under Electronic Components). If a resistor in a circuit is high in value you can get away with using 1/8W instead of 1/4W but you must determine the current through the resistor and voltage across it in-circuit to ensure the 1/8W will be appropriate. The boards are laid out for 1/4W resistor packages so 1/8 watt resistors will look a little odd but they'll work fine. I call out ceramic caps (for non-electrolytic ones) most often in projects but you can substitute film caps for any of them. Buy capacitors rated for 35V or greater for any and all MFOS projects. When I call out polystyrene caps it is because the circuit requires the lowest leakage cap available. If you substitute other types the circuit performance directly related to the cap will suffer. Sample and Hold circuits will leak faster without polystyrene caps. Often the boards are laid out for 0.2" (5mm) lead spacing caps. Components with wider or narrower lead spacing will work but you will need to do some lead forming using tweezers or needle nose pliers. For electrolytic caps be sure and buy ones with a voltage rating that is higher than any voltage that will seen while in-circuit. This will generally be the power supply voltage. For projects powered with +/-9 to +/-15V I would recommend capacitors rated for 35V. Buying 35V caps provides a bit of safety margin and they're very obtainable from suppliers. Higher working voltage caps will work fine but not lower working voltage. As a matter of fact, caps rated for 35V will work fine for all capacitors in all MFOS projects. Non-polarized caps (also called bipolar) provide a large capacitance but are non-polarized. They look very much like electrolytic caps except that instead of having a positive side and a negative side the two sides are interchangeable, the cap is not polarized. Many suppliers have these. Search for bipolar capacitor. MFOS sells 5-Packs of 1uF and 10uF bipolar capacitors (see the catalog under Electronic Components). Potentiometers in all MFOS circuits can be linear if you can't find audio taper. You can go the other way but you will probably see some unexpected behavior. Potentiometers in all MFOS circuits can be rated for 1/8W and up (1/4W, 1/2W, etc). You can use the large potentiometers or the smaller sized ones, it makes no difference. Just be sure the pots you buy will fit into your panel. Trimmer potentiometers should be the multi-turn square Bourns top adjust style (3296W). They don't have to be actual "Bourns" brand trim pots, they just need to be the same style. Tayda sells nice ones at reasonable prices. Be sure and buy DIP style ICs. The small format ICs have become ubiquitous so double check what you order or you'll get a bunch of teeny tiny ICs. In part lists I only give the main IC number (example TL074 or TL071) but there will always be a suffix that indicates the package type and the expected temperature range when you go to buy the ICs (examples TL074CN and TL071CP). Buy the least expensive version of the IC in DIP format. Plastic or ceramic package material makes no difference to the circuit's performance. Consumer Electronics temperature range (the most restricted) is fine. I call out the LF444CN for projects that require an op amp with the lowest input current and corresponding highest input impedance. Sample and hold circuits benefit from the LF444CN. When MFOS projects call for CMOS ICs Always buy the buffered type (CD4013BCN for example). The "B" in the part number stands for buffered output. When you see a plain number like CD4013, CD4081, CD4042 and/or other CMOS chips listed in a project part list always buy "B" type chips for example: CD4013BCN, CD4081BCN, CD4042BCN, etc. Remember to observe static precautions when handling any CMOS chip. I recommend mini-toggle switches but you can use any type of switch that serves the function called out in the schematic. Some folks might like really large switches for an art installation and other people might want to go with submini-toggle for really tiny or really crowded face-plates. When buying switches be sure and buy the correct type. When center-off switches are specified be sure and look for ON-OFF-ON in the specification. The OFF in the middle of the two ONs means center-off. The type that are not center-off use either ON-ON or ON-NONE-ON to indicate the fact that there is no center position. In a battery powered unit all of the switches can be low power (500mA to 1A). However for a mains powered unit I recommend that the power switch used handle at least 5A. All other switches can be rated for 500mW and up. The synth module switches never carry a significant current load. I recommend 22 to 24 AWG stranded hook-up wire for wiring panels to PC boards. All Electronics sells 25' and 100' rolls of nice quality stranded hookup wire. For COAX you need a supple thin wire with braided shield and stranded center conductor. Something similar to RG174/U w/braided shield and stranded center conductor 2.5mm outer diameter. You'll have to search around on this one but I found it on this site: http://www.pasternack.com. If I get more inquiries I'll answer them here. Cheers. Will MFOS circuits work with a +/-15V power supply? All MFOS circuits will work with +/- 15 volts with from none to minor value changes. All of the chips I recommend are rated for the higher voltages so you should be good to go. One small consequence is that the peak voltage of things will be a bit higher. Oscillator P-to-P outputs will be higher at higher supply voltages and AR or ADSR voltage peaks will be higher also. Filters and amplifiers will have more headroom and may need a bit of re-biasing if you find that the output is not sitting at ground when the input is at ground. For any circuit to which you want to apply higher supply voltage examine the schematic and you'll find its not difficult to reduce the output voltage to what you want. Where bias levels are set with resistor dividers you may need to tweak values. If it absolutely, positively has to be there with a different supply voltage; breadboard it, apply the voltage you want, and tweak as necessary. Everything on Music From Outer Space is free for non-commercial use. Please feel free to use the information presented on the MFOS website to the fullest extent for non-commercial uses. You can make your own PCBs from the layouts and drawings we provide or design your own if you prefer. 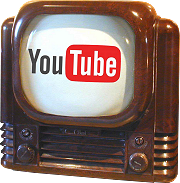 We appreciate a link to us if you blog or YouTube your work. MFOS sells professionally made glass epoxy, double sided, plated through PC boards, electronic parts, parts kits and faceplates for many of the projects found here. Please keep in mind that although I use these circuits in my synth I recommend that you review them thoroughly and/or breadboard them before relying on them to make sure they'll meet your expectations. If you find errors or omissions in the project documentation please email the details to the email address at the bottom of the page so we can correct them and continue to improve the site. Thanks. The 9V battery powered Echo Rockit makes some of the most unusual sounds I've heard. Any seasoned electronics diyer could build one. Hey what was that... a modular or... an Echo Rockit? We are now mobilized as much as practical. You can search, listen to Sound Art and order MFOS products from your mobile now. There is still large format content that is best viewed using a larger viewer but getting around with a phone should be much easier. The MFOS Wave Former mash-up project puts the MFOS VCO and the MFOS 10 Step Sequencer together to create a simple arbitrary waveform generator. Add some new timbre to your set up. Build this cool little battery powered function generator. Low current design will keep this thing going for a long time. Keep one in your toolbox. When everything doesn't go just right with your project you may need to consider some of these trouble shooting tips. Chin up, don't panic, you'll get... whatever it is... working! Welcome to the site. Here's a short YouTube video to help you get the most out of it. In the table that follows I show op amps that can be used to sub others shown in some older schematics. Note however that the LF44XCN can be replaced only when not used in sample and hold applications. All op amps must be in DIP format. Visit other DIY sites that share cool information. Anyone with a few tools and some good old ingenuity can do it. Find out how. Show me! Soundtronics carries a beautiful line of prebuilt MFOS analog synth modules. If you've been wanting to put MFOS analog synth modules into your setup but aren't into building them yourself yet - Soundtronics. Stay in the loop with the MFOS SCOOP. I send a newsletter slash promotional email a few times yearly. It's free to sign up. We really appreciate FB shares. Help more people discover Synth-DIY. Thanks! Great deal at a great price! Three (3) pack of great quad op amp kludge boards for when you need some extra op amp related circuitry and you want a quality pc board to put it on. Glass epoxy, plated through holes, solder masked it's the creme de la creme of op amp kludge boards. Always order DIP package chips for MFOS boards. No offense SOP packages but gentlemen prefer chips with longer legs. You can also buy type adapters. DIP Spec. vs. SOP Spec. All information presented on the Music From Outer Space website is provided "as is" without warranty of any kind. MFOS product prices are subject to change without notice. The information provided by this website is only intended to be general summary information to the public. Please study carefully or breadboard circuits to be sure you will be happy with the results before you purchase MFOS project PC boards, Parts or Kits. Thank you - have fun. info@musicfromouterspace.com Copyright © Music From Outer Space LLC 2015 Keep imagining, keep inventing, stay ingenious!